AMC say no to texting at the movies after reports that the theaters chain would it allow it in the future. 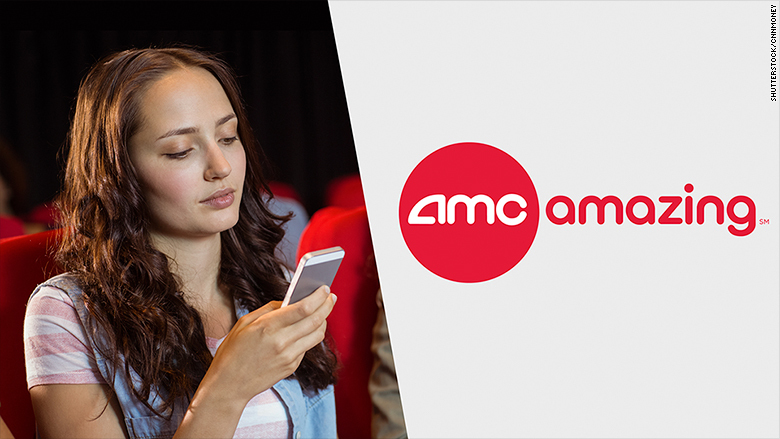 "NO TEXTING ALLOWED" will still play before your favorite movies at AMC Theatres now and in the future. The theater chain announced on Friday that an idea floated by AMC CEO Adam Aron to allow texting in theaters is not going to become a reality. "Unlike the many AMC advancements that you have applauded, we have heard loud and clear that this is a concept our audience does not want," the company said in a statement. "This is an idea that we have relegated to the cutting room floor." In an interview with Variety, Aron explained that one way to attract younger moviegoers would be to make theaters more "texting friendly." "When you tell a 22-year-old to turn off the phone, don't ruin the movie, they hear please cut off your left arm above the elbow," he told Variety. "You can't tell a 22-year-old to turn off their cellphone. That's not how they live their life." Aron's comments almost immediately caused a backlash on social media leading to AMC nipping the idea in the bud. "There will be NO TEXTING ALLOWED in any of the auditoriums at AMC Theatres," the company added. "Not today, not tomorrow and not in the foreseeable future." Instead, AMC said they would focus on other ideas and investments like better screening and sound technology, to make its theaters better for audiences. Other theater chains like Alamo Drafthouse also took the opportunity to take a stance against the filmgoing faux pas. "Regardless of your age, turning off your phone and focusing on a good movie is much-needed therapy," Tim League, CEO of Alamo Drafthouse, said in a statement. "This time of focus in a darkened room is core to the experience of cinema. Only with this focus can you lose yourself completely in the story and really fall into the magic spell of the movies."